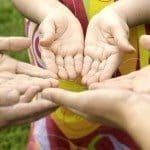 Recently I was going through some old files on my computer and I came across an article that my good friend Bob Stromberg wrote several years ago about planning a successful event. The principles he talks about are timeless and universal. When you adopt a K.I.S.S. strategy you might just realize how complicated you have made things. Through some thirty years of performing, I’ve worked in a wide variety of terrible settings. Some of the worst were gymnasiums. I remember one particular time speaking from center court surrounded by several thousand unruly high schoolers. I’m not suggesting I only encountered this setting once but this time is memorable because the principal was unable to get enough attention to introduce me. After several minutes ineffectively screaming into a distorting mic he finally looked at me and shrugged as if to say, “May your God protect you.” I then walked to the center of the arena where I was tied to a 6 ft. microphone cord connected to a podium containing four tiny speakers. I should mention that the podium/speaker was made by Sears and Roebuck. Notice that Roebuck is still in the name so we’re talking early sixties at the latest. Low tech at best. I actually nearly salvaged this event. Honestly. But a little more than most of the time, given this situation, I failed. Which was a shame because with a little good event planning it could have been different. Several years ago I put together a contract rider spelling out some ways that a sponsor can help me to help their event succeed. I adopted the K.I.S.S. principle for planning a successful event, a simple acrostic for KEEP IT SIMPLE STUPID. And it is, after all, pretty simple. All I require is that people are able to see and hear me. That’s it. To be seen means that most often I need some form of elevation. In addition, to ensure that my facial expressions are visible, I may need simple direct lighting such as a spotlight or some floods pointed in my general direction. To be heard I need an appropriate sound system for the setting. I’ve often been impressed with the effort made to meet my simple requirements. My rider has worked pretty well though apparently the K.I.S.S. acrostic has sometimes been misinterpreted to mean KEEP IT STUPID STUPID. In this regard, one man comes to mind. I’ll refer to him as Mr. I Bet I Can Ruin Your Show. He’s the man who thought a wireless mic meant a portable blow horn with a shoulder strap. Think Vietnam war protests and your conjuring the correct image. His banquet was being held in a large room normally reserved for auctioning hogs. But the problem was not smell. The problem was size. The room’s dimensions seemed just a little smaller than those of my hometown through the ceiling may have been a bit higher. I thought I could see stars. The lighting was provided by a strip of neon lights somewhere up in the clouds. I think the bulbs were Sylvanias. I’m pretty sure the clouds were cumulus. Fortunately, I didn‘t require elevation as the enormous hall was set for only six tables of ten people each. Unfortunately, the back half of each table was still unable to see me for the massive balloon centerpieces blocking their view. If they’d connected a lawn chair to any of them they might have floated away. Which, in this setting, was just about what I felt like doing. I hope we can work on an event together some day. With a little careful planning, I think we can pull it off. From his residence in St Paul, Minnesota Bob is sought after from corporations, nonprofits and media market experts from all over the world. He entertains and inspires with his amazing and ideal blend of story, stand up and shtick. Bob is also the co-author and original stars with the megahit theatrical comedy, Triple Espresso, which has been witnessed by almost two million individuals from San Diego on to the West Finish of London. 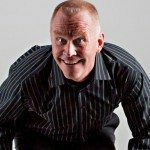 The Chicago Sun Instances referred to as “..Bob mesmerizing physical comedian.” The London Times named him “a genuinely funny man.” for a lot more data call 615 283 0039 or email.